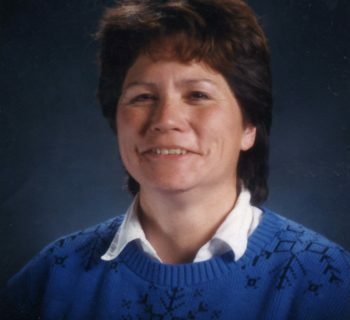 Joyce Heywood is of mixed White and Abenaki Indian descent, a mother of 2 and grandmother of 3. Her unique family background mixes 3 cultures: Native American, old Yankee, and Greek. A product of the blending of these 3 cultures, she was raised with a strong sense of family, including both cultural and historical aspects. Having lived almost all of her life in eastern, western, and central Massachusetts, she has strong ties to Keene and Marlborough New Hampshire, where her parents and many prior generations of her family lived. In addition, she retains ties to the Odanak Indian Reserve in the province of Quebec, Canada, where her Native American family originated. Currently, she lives on a lake in central Massachusetts where she has been since 1977. Professionally, she has worked in the secretarial and biotech fields, officially retiring in 2014. 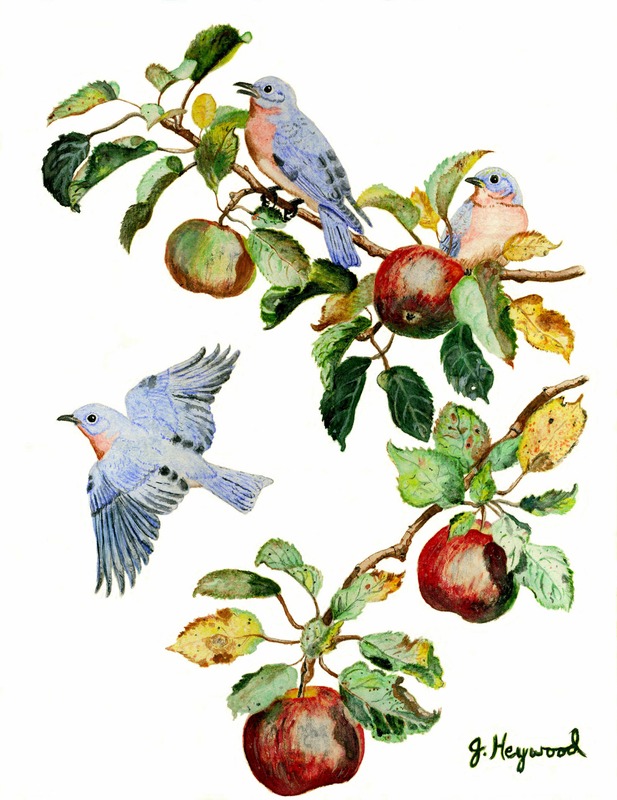 Inspired by pencil drawings of her grandfather, Joyce began drawing in her teens. Becoming a self-taught artist, she began to paint watercolors after the birth of her children in order to foster their interest in art. 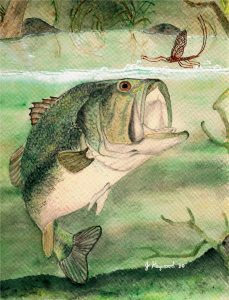 Her artistic interests include pencil drawings, watercolor, and acrylic painting, most with a natural history theme. 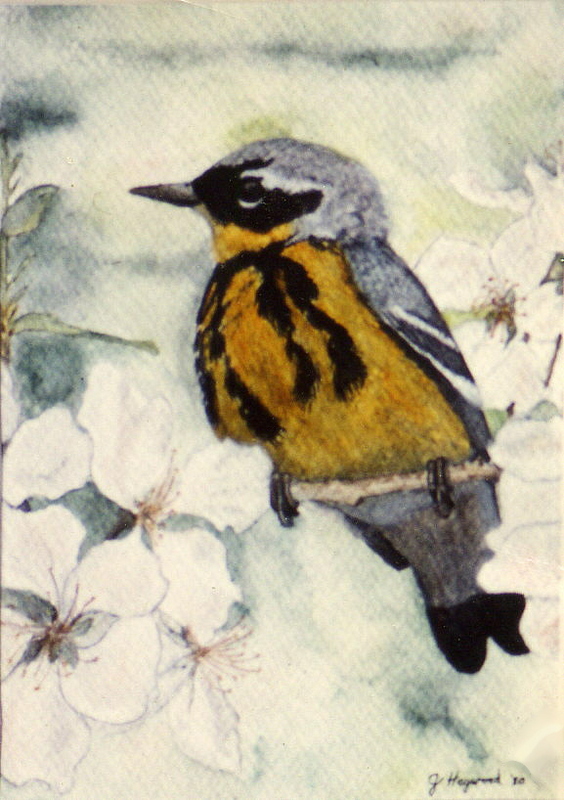 She has done a series of herbal/wildflower illustrations for the Springfield, Massachusetts Naturalist Club, and has had an exhibition of watercolors at the Gallery at Laughing Brook, the home of children’s book author, Thornton W. Burgess, and a former Mass Audubon Education Center and Wildlife Sanctuary in Hampden, Massachusetts. 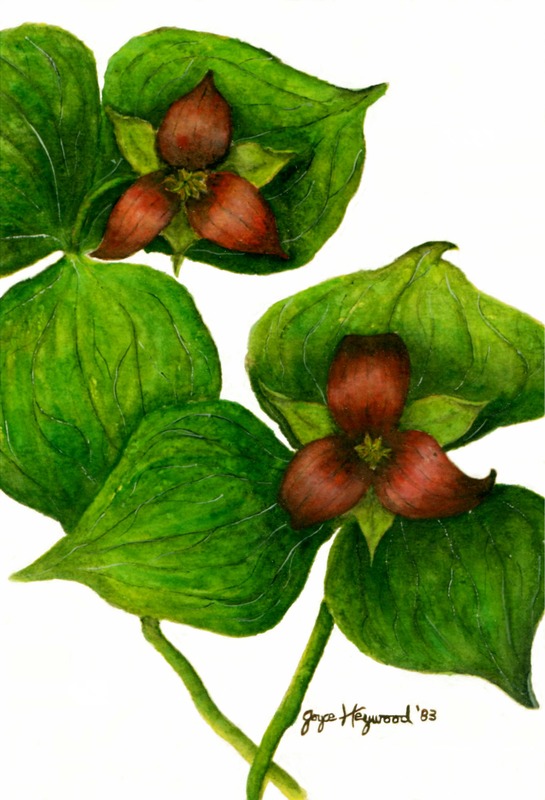 She won first place in the art category, at Genzyme Corporation, Framingham, Massachusetts Division, in the “On My Own Time” competition with her submission entitled, “Grampa’s Turtleheads,” a watercolor of native wildflowers. 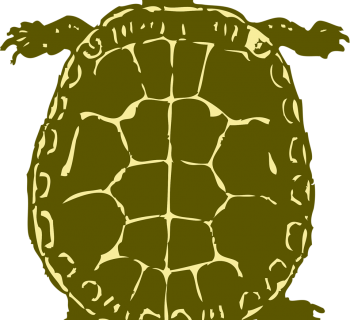 As winner in its category, “Grampa’s Turtleheads” went on to be displayed in the Boston Trade Center, Boston MA. 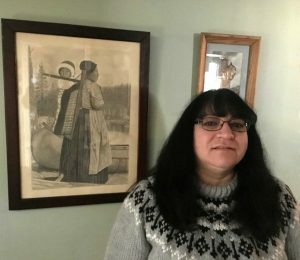 Most recently, she has utilized her talent as the artistic designer of the New England Native American Institute’s (NENAI) yearly calendar series, beginning in 2008. In addition to creating the calendars, her paintings of native plants were featured in their 2010 and 2012 calendars. The group’s 2016 calendar featured her paintings of native wildlife. 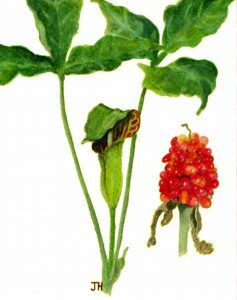 Many of her watercolors, photos from her Native American and family collection, plus copies of pages from many years of the NENAI calendar were displayed as part of the Children’s Museum of New Hampshire 2017 exhibit based on Abenaki 13 Moons and daily culture as seen through a child’s eye. 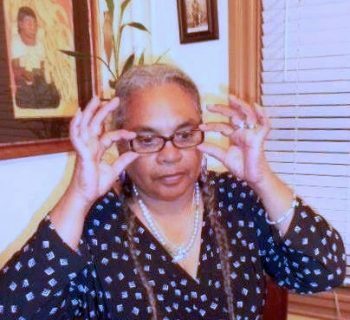 In addition to her art, Joyce has had a lifelong interest in history and has done much research having to do with her Native American heritage and family, including interesting ancestors such as Indian doctor, Louis Watso; her grandmother, Elizabeth Sadoques Mason, and her great-aunt, Maude Sadoques (Sister Benedicta, CSM) who are counted among the first members of Native American registered nurses in the US; and a connection to the Deerfield, Massachusetts “unredeemed” captive, Eunice Williams. Joyce has worked with museums to assist with their Native exhibits on various topics and projects. She has served as a member of her town historical commission and is a life-member of her town historical society. 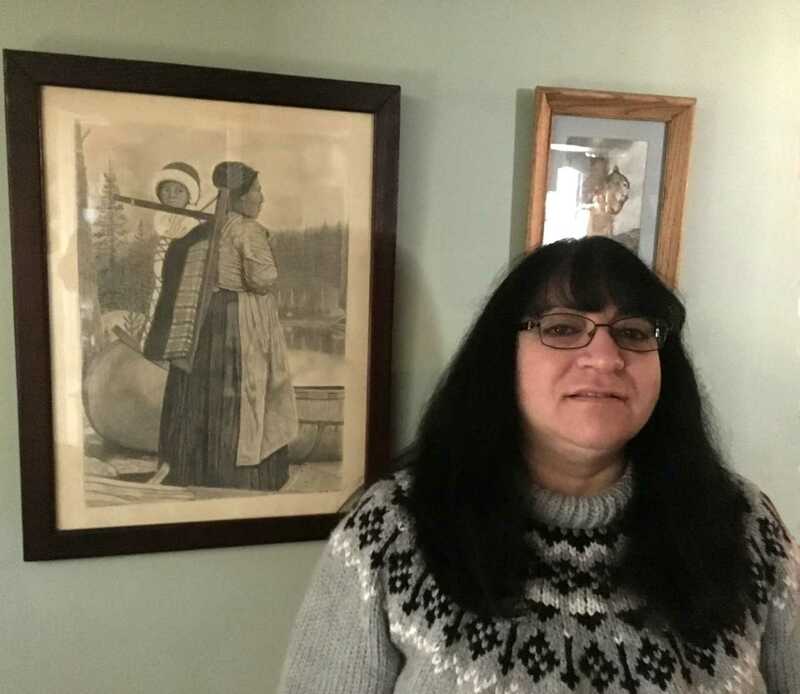 In addition, she has served on several of the New England Native American Institute’s committees, as well as their board of directors in the positions of clerk, vice president, and (since the year, 2000) president. With an appreciation of her Native American family’s own crafts, Joyce is a collector of eastern woodland, Native American baskets and other Native items originating in the northeastern US and Canada. She is also the current caretaker of numerous items made by her Indian family, including her great-grandmother, Mary (Watso) Sadoques’ beautiful baskets. Pieces from her collections have been included in several museum exhibits over the years. In the future, Joyce plans to continue her art and conduct more research on her ancestors, plus publish family stories left behind by her mother.